Some of you may be aware of the organisation called the Textbook Colloquium, which was concerned with historical studies and research on textbooks. They used to publish a journal called Paradigm. The Colloquium has now ceased to exist, but they have left with me the remaining stocks of their publications. I am happy to give these to anyone interested, free of charge. A list of titles is given below. I have a few copies of most issues of the journal, and considerable numbers of the more substantial studies by Ian Michael. If I can’t find good homes for them in the next few weeks, I’m afraid they will have to go into the recycling, as we can no longer spare storage space for them. 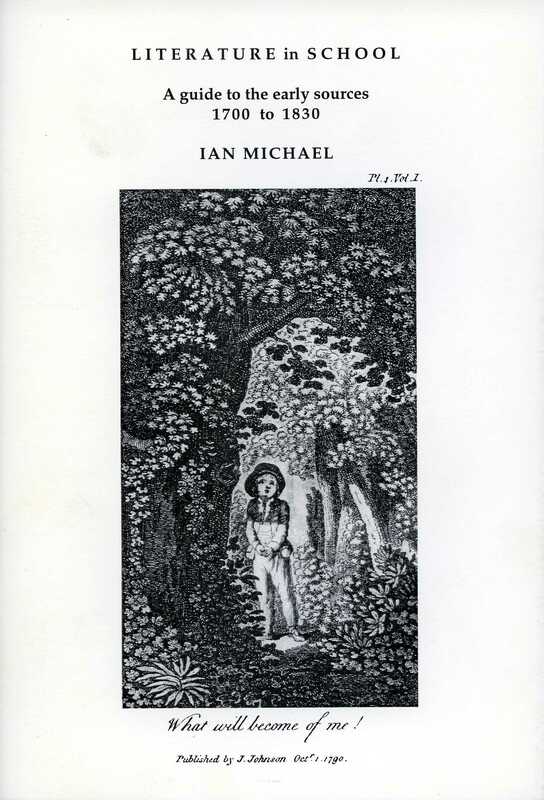 MICHAEL, Ian Literature in school: a guide to the early sources 1700 to 1830. This entry was posted in Library and Archives and tagged history, journal, textbooks. Bookmark the permalink. I found the whole Newsam news fascinating, thank you. May I please have a copy of the Michaels “Literature in school: a guide to the early sources”.